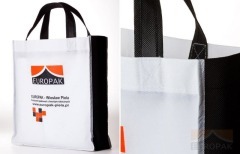 We have manufactured PVC packaging bags (in Poland often referred to as PCV or PCW foil bags) for dozen of years, which is why we can recommend the packaging that will provide the best match to your products. 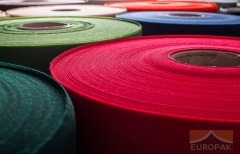 Our PVC product portfolio comprises both sewed and sealed bags. 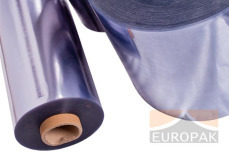 Being non-toxic and recyclable, they also show high resistance to mechanical impact and low temperatures. 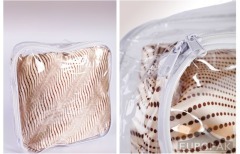 Owing to their high gloss and structural transparency, the PVC bags will considerably increase product attractiveness. 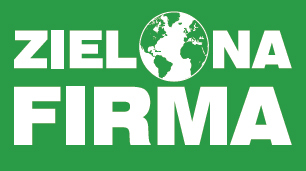 If you are looking for durable and safe bags, our PVC products seem to be the best choice. You will certainly not be surprised by any suddenly appearing holes, dirt or breakage, causing an urgent need to replace the packed goods. 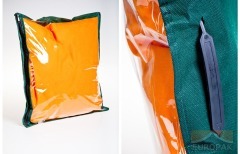 We sell bags made of PVC foil combined with nonwoven fabric (also referred to as Wigofil, Wigolen or PP fabric) in different colours, including orange, maroon, brown, purple, pale blue, pink or pea-green. 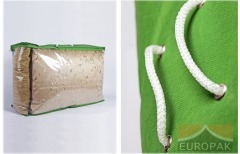 This solution will be perfect for storing various types of goods, such as toys, mattresses or bedclothes. 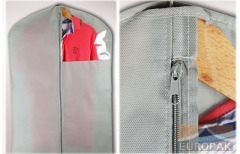 The possibility to attach a handle, a holder or a hanger makes transportation more comfortable and allows for conveniently placing the goods on a display rack. 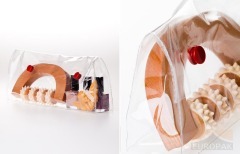 Our sealed PVC packaging bags are not only durable but also aesthetic. 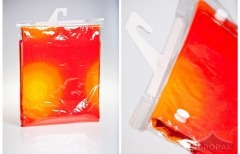 The PVC bags, having top-quality parameters, will highlight the exclusive features of your products, while also ensuring safe transportation throughout the distribution process. 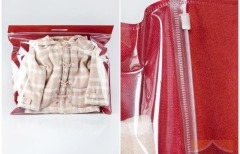 This kind of packaging excellently protects the packed goods against dampness, dust or pollution. 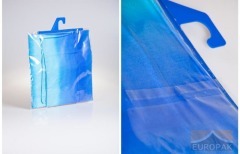 Our sealed PVC bags may be equipped with hangers and holders of customer’s choice, and with two types of closing systems, i.e. snap fasteners or resealable tape. 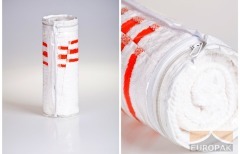 This makes them a perfect packaging of bedclothes, shirts, towels, underwear, sleeping bags, net curtains, cosmetics, documents, stationery and construction materials, bathroom rugs and many other products. 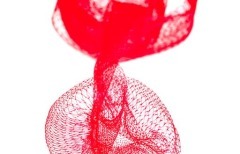 We may customise printed designs on the PCV bags, using the screen printing method.